Event photography by Heather Willins. Trigger warning: Sexual assault and self-harm are referenced throughout this article. 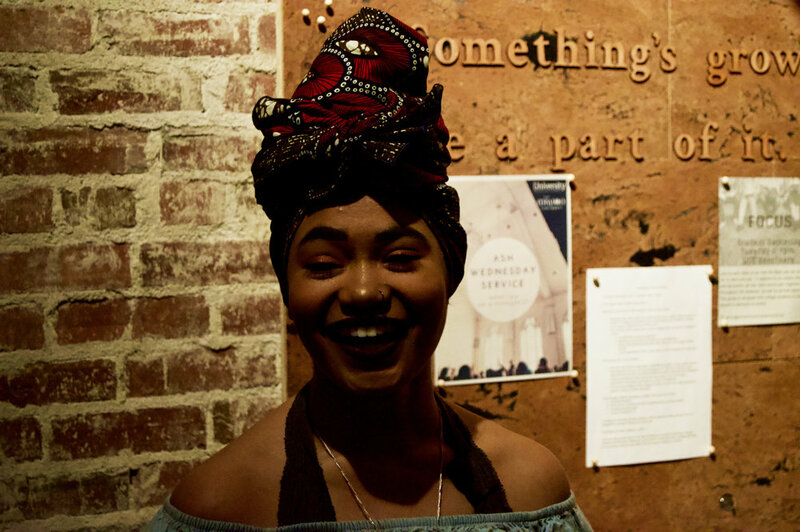 “One story should be enough,” said Grace Cunningham, founder of Students for Survivors, as she stood to welcome a few dozen folks who attended the student group’s Vigil for Survivors last month at Rohs Street Cafe. 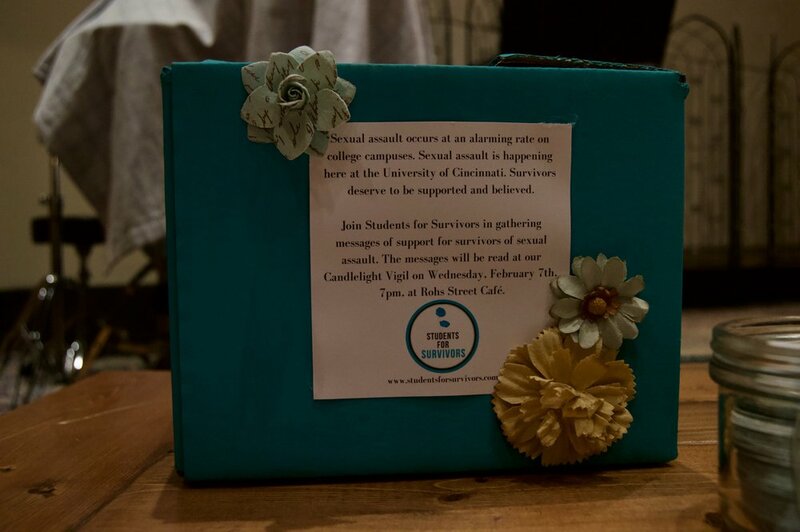 Students for Survivors is a student-led movement at the University of Cincinnati dedicated to supporting survivors of sexual assault regardless of race, class, gender, sexuality, religion, or ability. I felt the challenge in her words as she continued. In the short time I’ve known her, Grace has always been one to make me think harder about my worldview. “One person sharing what they’ve been through should be enough,” she said. “Sexual assault is always happening in our society, and for people to just now wake up to the reality – it’s good, but also, it’s setting this expectation that survivors should be the ones to expose what they’ve been through for people to care. 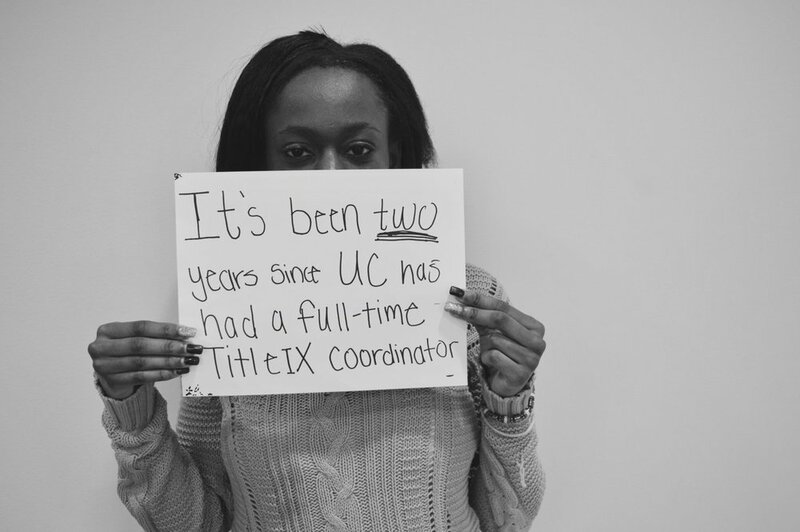 The group has launched a social media campaign, adding their voices to the typically celebratory hashtag #thisisUC, pointing out shortcomings they’ve seen in the university’s handling of sexual violence. 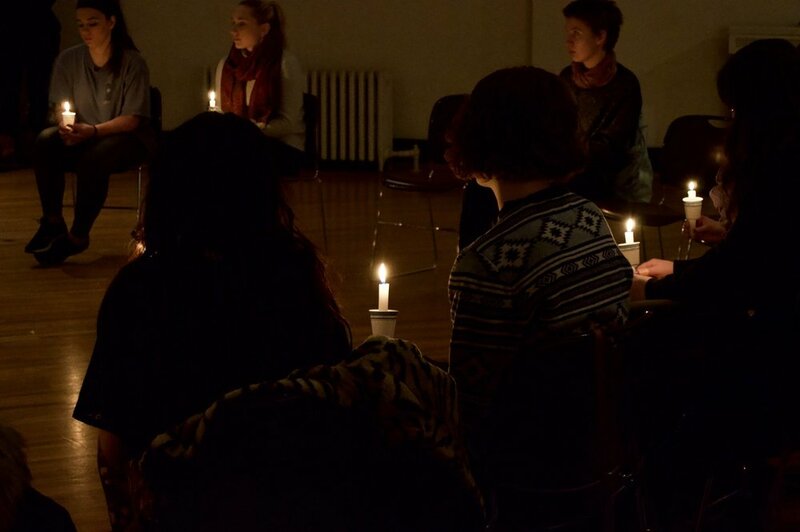 Photos provided by Students for Survivors. Everyone says it's easy... "Just throw away the razor. Just smile. Do something fun." They don't see your real accomplishments. You got out of bed today! You took a breath of fresh air, not in your locked bathroom. You did as much as you could today and tomorrow you CAN do it again. It will be hard. It will take your whole being. DO NOT do it for others. Open your eyes in bed. STRETCH. Place your feet on the ground. BREATHE. Everyday, breathe. Soon that becomes easy. Next take some steps. Once that gets easy sit outside. BREATHE. You don't need to be great everyday. As I lay here awake each night in bed I am surprisingly comfortable. I am not comfortable. I lay here in bed covered in damaged skin. My body has been scarred by and because of those who have touched it (me) with no respect or love. How can my skin protect me when they refuse to listen? Do you know what it's like to have your thighs squeezed so hard you feel like contracting them will cause them to burst? Do you know what it's like to pee the following days after because your skin is so raw? Do you know what it's like to be in broad daylight have a flashback or that horrendous event, you try to sleep it off but it comes back as a nightmare? Do you know what it's like to not be able to wear you favorite shirt, skirt, dress or jeans ever again? I KNOW DAMN WELL WHAT IT FEELS LIKE. I know what happened to my body. Some narcissistic, self-serving human inflicted torture on my body. They scarred my mental, emotional, and physical being. My skin can tell stories you cannot begin to fathom. So society, enough silencing us. No more questioning my story because it is engraved in my body.